After an embarrassing 0-3 record last week, the Wizards turned things around and went 4-0 including wins over the Pistons and Bulls who currently sit in front of them in the standings. The Wizards now hold the tiebreaker over both the Pistons and Bulls should the playoff seeding come down to that. Unfortunately, the Wizards didn’t get much help from the teams above them in the standings as they are currently 1.5 games out of the 8-seed. Last week the entire team was trending down, now they are trending up. That’s what happens when you rip off four wins in six days. The Wizards held all four opponents under 100 points this week and kept Detroit and New York under 90. The Wizards kicked the defense up a notch and you could tell right from the get-go. Markieff Morris was very impressive in how he played Carmelo Anthony. Melo was having his way against Otto Porter and Garrett Temple. The Wizards switched Morris onto Melo to start the second half of the game and Melo was ineffective. John Wall added two more triple-doubles this week bringing his season total to four. 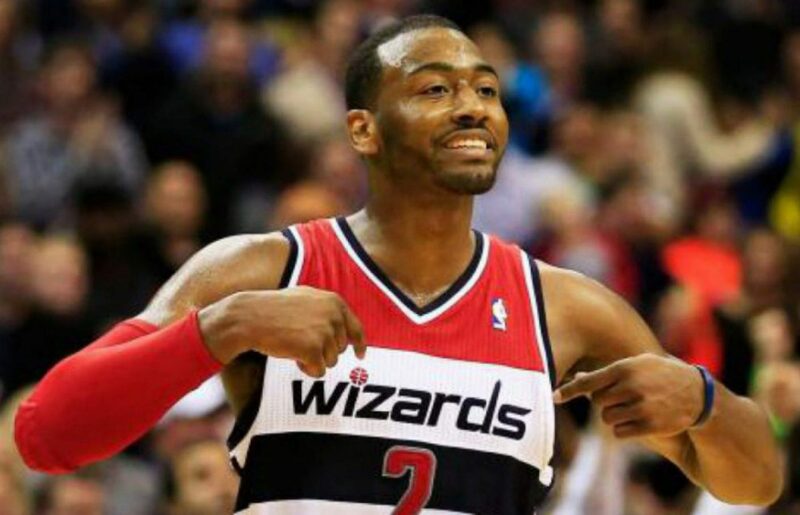 Wall notched back-to-back turnovers in as many nights against the Bulls and the 76ers. Wall did get a bit turnover happy as he combined for 17 turnovers in the two games where he logged triple-doubles. Wall only logged one turnover against the Pistons and one against the Knicks. Garrett Temple started showing some life again from range as he went 9-17 from three for the week. Garrett Temple has been a non-factor for much of February and the beginning of March so it was nice to see him get back on track. Temple morphed into Ray Allen knocking down his first five three-pointers against the Bulls (all in the first half) and finished the game 5-6 from three. The Wizards will need Temple’s help off the bench during this late-season push. Previous postWizards down 18 early, comeback to beat Knicks 99-89. Next postWall and Beal combine for 52 as Wizards beat Hawks, 117-102.